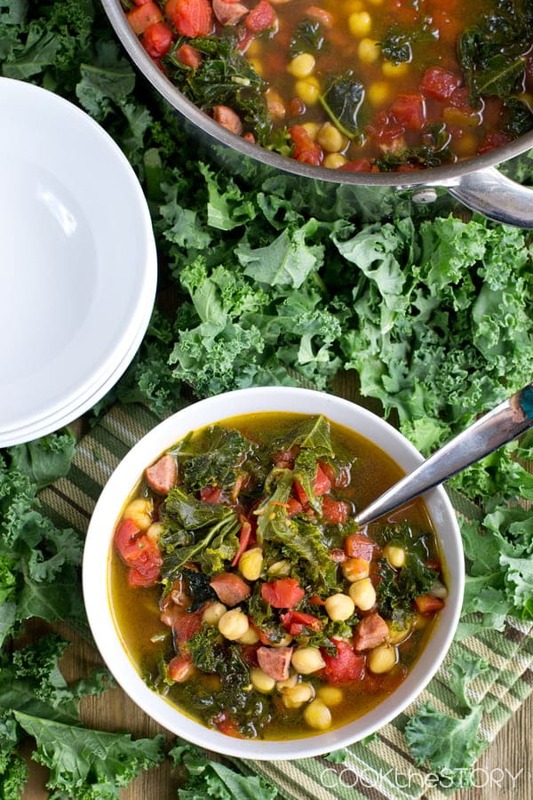 This Kale Soup with Kielbasa is quick and flavorful. 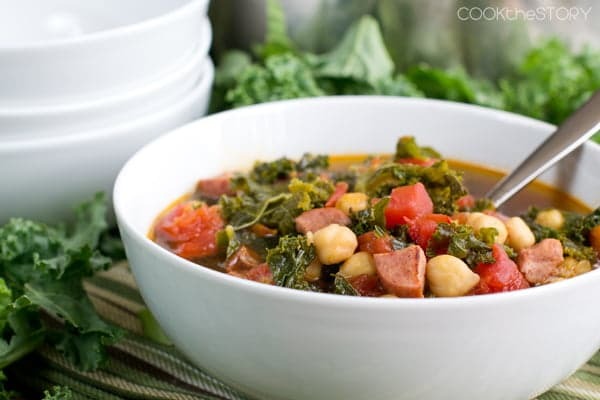 It has kale, kielbasa, chickpeas and tomatoes plus a bit of chili powder to warm it all up. It’s amazing to me how quickly kale has become mainstream. There are kale recipes all over Pinterest, kale salads are on the menu of every restaurant, and my grocery store sells a Kale Chip Kit. This kit is right next to the bags of chopped kale, which are my favorite new convenience food. I buy a big bag of chopped kale every week. You can roast it like this for a weeknight veg or you can make kale chips like these or you can add it to soups and salads throughout the week (tear off any tough stems when adding it to salads though). For today, I’ve used the very convenient chopped kale as the basis for a quick and easy soup. 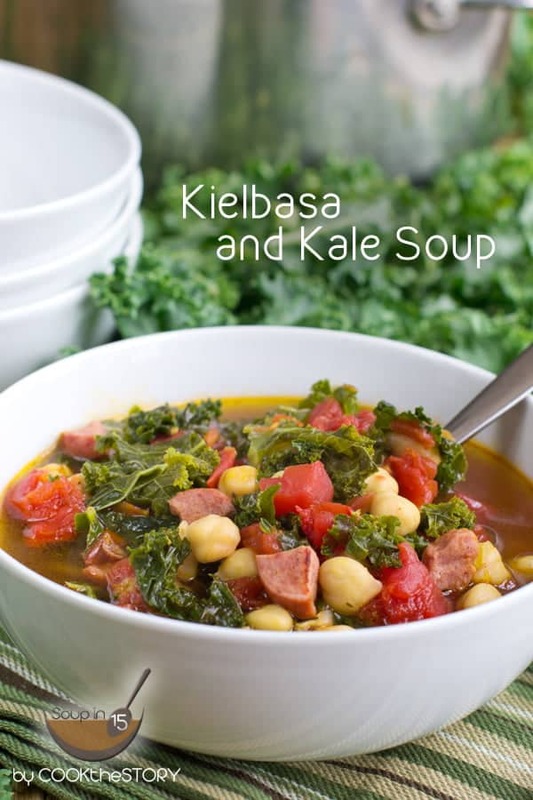 To make this Kale Soup with Kielbasa you get some broth warming up while you saute the chopped kale in olive oil. With that going on, you chop up some kielbasa (I use turkey kielbasa because it’s a bit leaner). Then you add that to the kale. Stir it and let it all heat through. It’s a good thing if some of the kielbasa starts to darken in places. All there is left to do is drain some chickpeas and add them along with some diced tomatoes your now hot broth and some chili powder (for that cooked-all-day-like-chili flavor). Done. 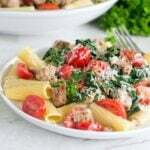 The SouperTip for this soup, the thing that makes it so delicious so quickly, is the convenient chopped greens. You just open the bag and add the greens by the handful. It’s amazing how quickly the soup comes together. For more tips for making quick and delicious soups, head over to my SouperTips Page. And check out all my Soupin15 recipes over here. 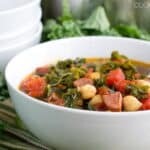 If you like the sound of today’s kale soup, I know you will especially love this this Bean and Bacon Soup. O.K., let’s look at today’s soup one more time. So good! 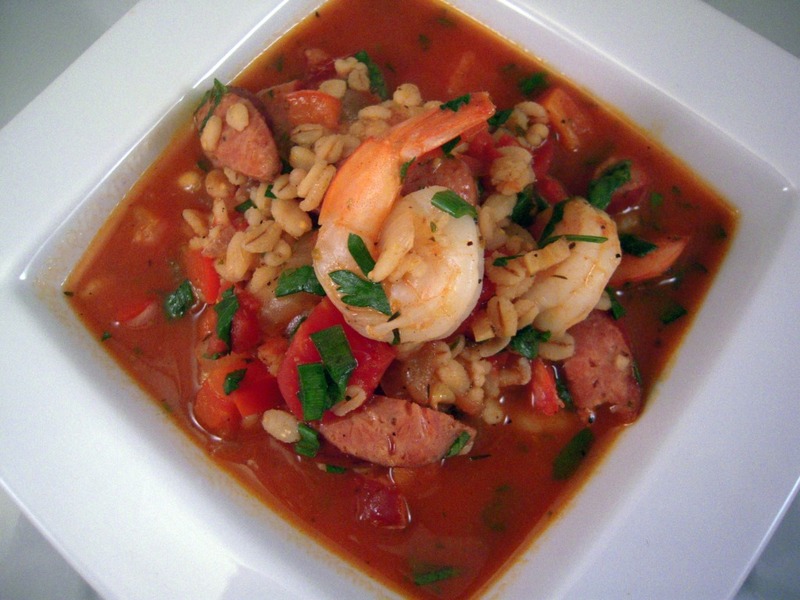 Oh, and if you love sausage in your soup, you should also check out this Smokey Shrimp and Sausage Soup with Barley. And now, here’s my quick Kale Soup with Kielbasa Recipe. See you in 15! 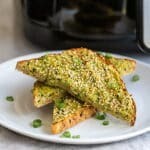 Love this idea for a quick healthy soup! Oh, I am totally in love with this soup. 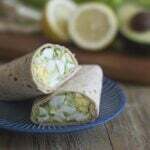 Full of flavour and lots of goodies. My family would be nuts over this.